thanks for gettin with me .. love to network with people about success .. check my music out .. i am taking all paying gigs etc .. Thank you for your friend request. I hope to collaborate with you in the future. May God Bless you & the Ancestors continue to Protect you! 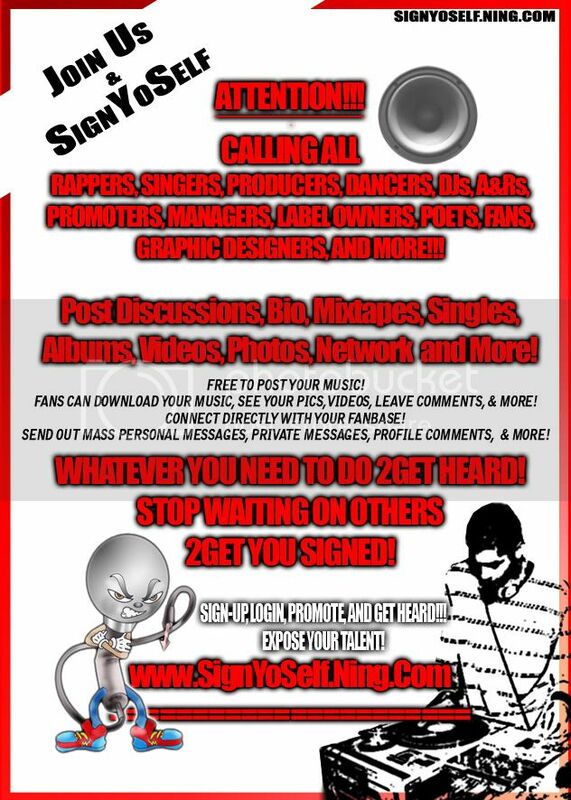 CALLING EVERYONE WITH SOME UNSIGNED OR UNNOTTICED TALENT!! !